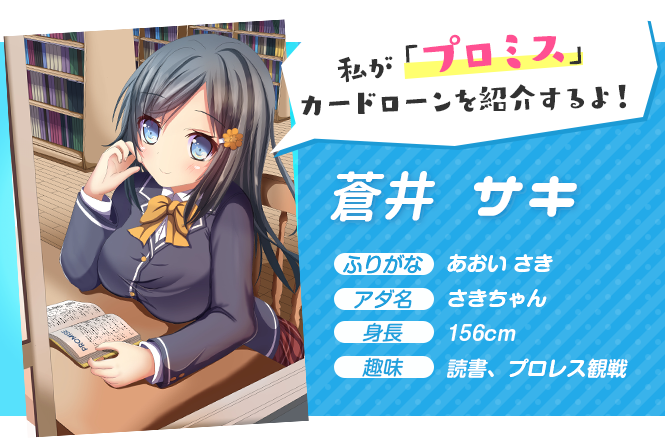 Cardloan Girls is a website that uses moe manga characters to promote credit cards to Japanese consumers. Yes, you read that correctly: cute manga characters are now promoting credit cards in Japan. What is moe manga? First up, manga is the term for Japanese comics. Moe manga features a specific type of manga character. Moe (pronounced mo-e) is a Japanese slang word used to describe a certain combination of feelings of affection, adoration and excitement in connection with manga and anime characters. 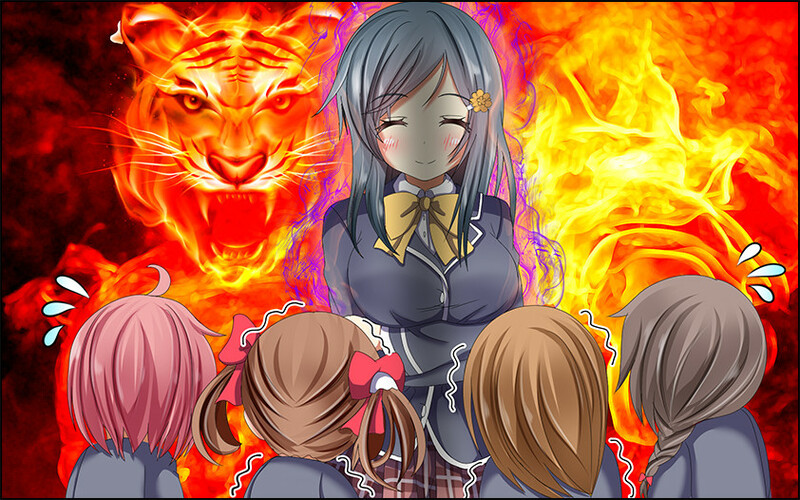 It can also be used to describe the attributes of particular types of manga and anime characters. Anime News Network states that for a character to be moe, it can be, “eager or perky, not overly independent, and call forth a desire in the viewer to protect them and nurture them”. Put simply, moe manga characters aren’t just kawaii; they are a very specific type of cute. 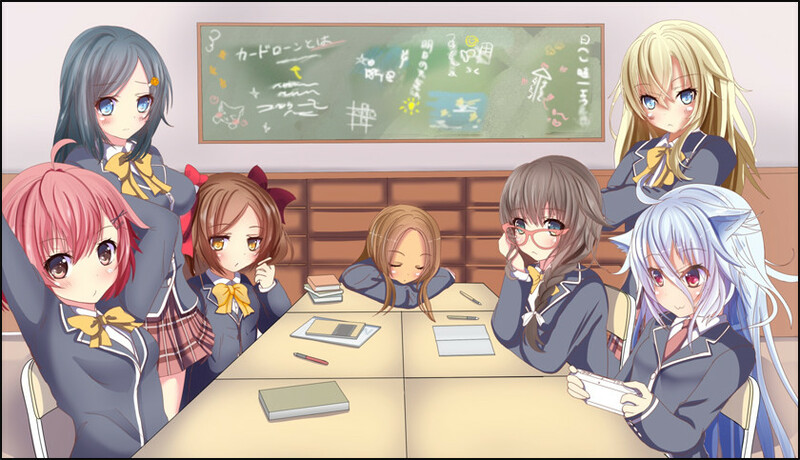 To understand the significance of moe manga in Japan, it helps to understand the concept of otaku. Otaku is a term for people with obsessive interests, particularly toward anime and manga. 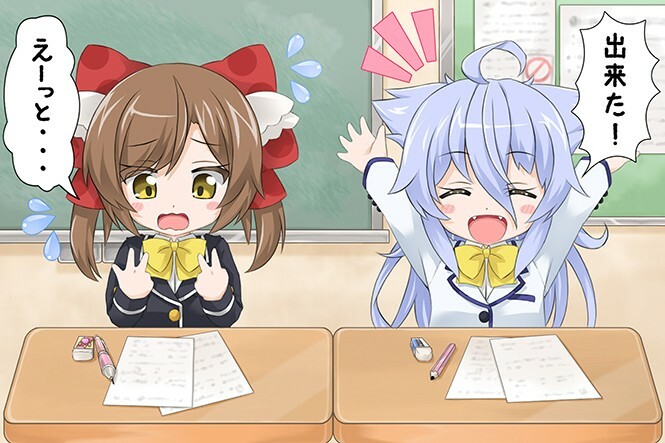 Research conducted by Japan’s Yano Research Institute in 2014 found that around 23% of Japanese locals between the ages of 15 and 69 consider themselves to be otaku. In other words, the otaku market is massive. 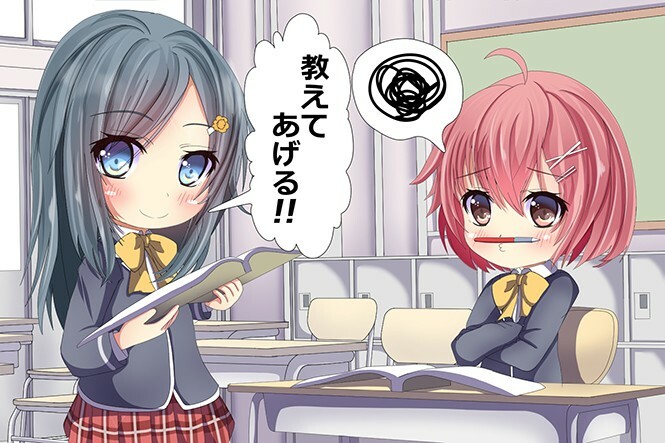 Moe manga characters are thought to make up approximately a third of the otaku market in Japan, so while it’s easy to brush off the use of moe manga characters as a promotional tool as an “only in Japan” kind of thing, it also makes a lot of sense. This is not the first time that otaku culture has been combined with marketing to promote products in Japan. Last year anime characters were created to sell (and provide instructions on cooking) raw ramen noodles. In 2014, the Tokyo branch of food company Lotte created a cast of anime guys to personify and advertise a range of chewing gum. For the rest of the world, though, this unique form of promotion has a distinctly Japanese flavour. 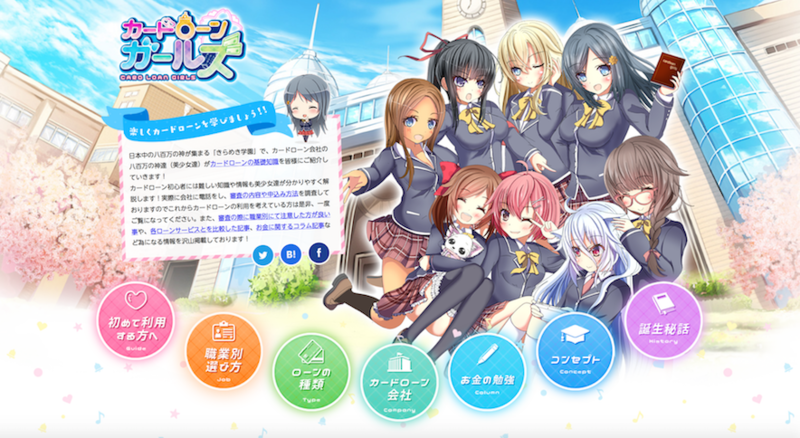 And now Cardloan Girls offers Japanese locals a unique guide to different credit cards and lending information using a cast of moe manga girls. 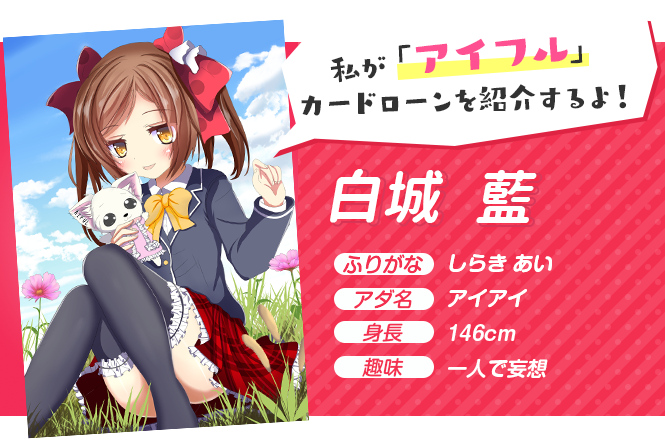 Each girl has a different moe manga look and her own profile, right down to hobbies and sporting interest. Each character recommends a different lending institution, and presents articles and information on topics related to card loans and credit in general. Reading about credit cards and personal finance isn’t the most exciting topic in the world, but it’s something that everyone needs to read up on every now and then. 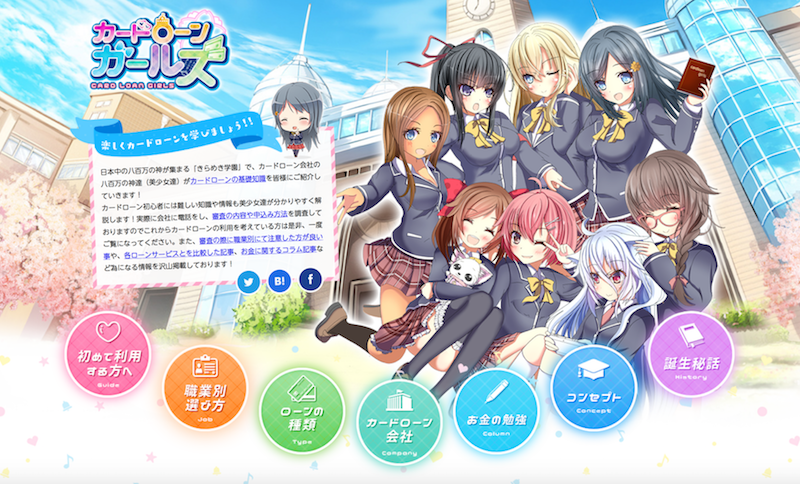 For Japanese otaku, Cardloan Girls takes consumer lending advice and promotion to a whole new level. The Card Loan Girls characters provide useful information about how different types of credit cards and consumer lending products work. They explain different features, how interest rates work, and they educate readers on what options might work better in certain situations. They also compare card loans and other loan services such as bridal loans and funeral loans, along with providing information on how to apply for these. But they don’t just advertise specific lenders and credit cards; they also provide information on a range of credit related topics such as debt consolidation and bankruptcy, and the information provided is quite extensive. I’ve always found it interesting that kawaii culture is as much for adults as it is for children in Japan. One of my favourite examples is the Suica penguin, which is the cute penguin on one of the train passes in some areas of Japan. It’s so popular that there have even been cafes and hotels dedicated to it. So when I was contacted to write about Card Loan Girls, I jumped at the opportunity. As a westerner, the way that Japan seamlessly combines kawaii and otaku culture with everyday life is fascinating. Using characters to discuss credit cards just seems to make sense in a Japanese context. To view the Cardloan Girls website, head over to http://cardloan-girls.jp. Disclosure: This post was sponsored by Cardloan Girls. All opinions are my own. All images copyright Cardloan Girls.